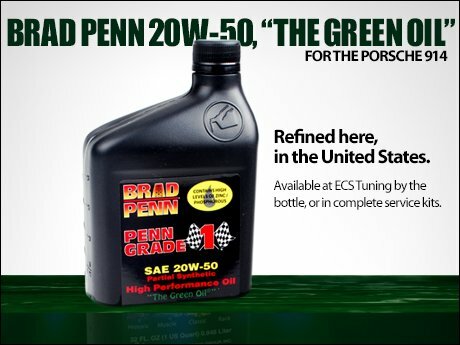 Brad Penn premium motor oil is refined in the U.S. from premium grade Pennsylvania crude. Its unique base stock clings to engine surfaces for added protection at engine start-up, a critical concern in engines that are stored seasonally. PennOils also contain highly effective detergent and dispersant additives to guarantee exceptional engine cleanliness as well as oxidation and foam inhibitors that offer protection against thermal degradation and air entrainment. 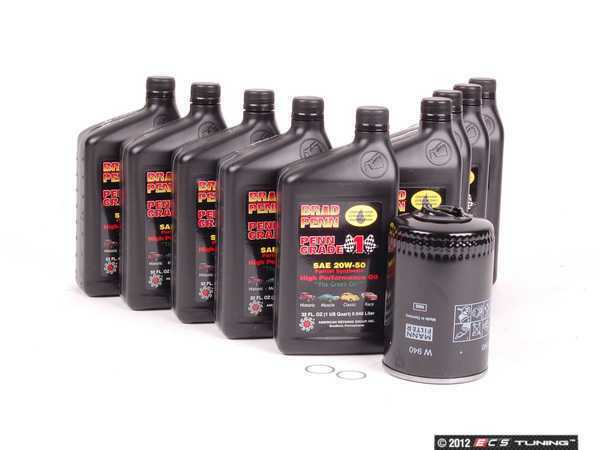 Make your next service a quality one with this kit from ECS Tuning. In addition to the unique base oil cut, increased concentration of zinc (ZDDP) provides outstanding anti-wear and anti-scuffing protection for engines employing either ‘flat tappet’ or roller cams. Penn Oils have been evaluated by a number of premiere camshaft manufacturers with tremendous success. Many are now recommending Penn Grade 1Oils to provide outstanding protection. Penn Grade 1 High Performance Oils are formulated using a unique base oil cut, which gives Penn Grade 1 Oils exceptional film strength. This unique base oil causes it to cling tenaciously to engine parts to minimize wear during high engine torque loading and periods of heavily stressed operation such as those experienced during competition. This same oil cling helps prevent dry-start conditions to minimize wear even after extended periods of disuse. Penn Oils also contain highly effective detergent and dispersant additives to guarantee exceptional engine cleanliness as well as oxidation and foam inhibitors that offer protection against thermal degradation and air entrainment.